FUEL supplies have started to normalise in Bulawayo with both diesel and petrol being available at most service stations in the city. Over the past few weeks, fuel was in short supply resulting in long winding queues at most garages. Some motorists resorted to creating WhatsApp groups to update each other about garages that had fuel. A snap survey in Bulawayo over the weekend and yesterday showed that supplies had improved and queues that had become the order of the day had vanished with most garages having both diesel and petrol. Only a few garages did not have fuel. In an interview yesterday, the Minister of State for Bulawayo Provincial Affairs, Judith Ncube, said her office has noted an improvement in fuel supplies in the city. "The report that I have received is that there has been some improvement in fuel supplies although there are stations where short queues are still obtaining. Fuel is key to production and transportation of goods and people, hence we believe that an improvement in the fuel supplies will cascade to other production areas," said Ncube. Motorists who spoke to The Chronicle said they were happy that the situation was going back to normal. "It seems the fuel situation is getting better. I've managed to queue for petrol for just under 10 minutes and I got the petrol. The queues seem to be disappearing as the product seems to be coming back into the market. "Over the past few weeks it was depressing just to think of refilling your tank. 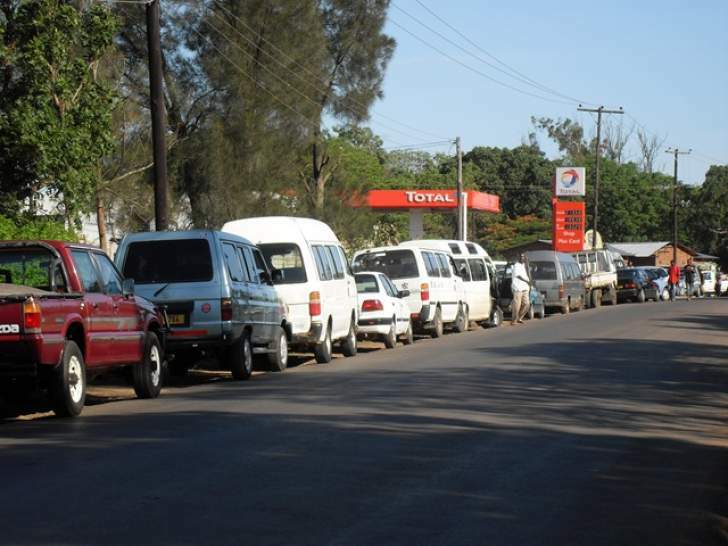 For one to get fuel, you would move from one garage to another and sometimes the fuel would run out while you are in the queue," said Mr Maxwell Chando from Cowdray Park suburb. Another motorist, Ms Elizabeth Ndlovu, from Hillside suburb said the improvement in fuel supplies would see people having more time with their families. She said due to fuel shortages, a lot of people had been spending time queuing for the commodity. "I would knock off at work at around 5PM and would be in a fuel queue in the next three to four hours. It was really eating into my children's time. "I was even risking filling the jerrycan and keeping it in my garage at home but this was a big risk knowing my boys are very naughty. And now I feel relieved that I can just drive in and out of a service station and get fuel before driving home," said Ms Ndlovu. Tshova Mubaiwa marketing director Mr Nqaba Mabunda said the situation is normalising. "The situation is normalising by the day. Even petrol queues are becoming shorter. They might be increasing after working hours but it's not at the same rate they were few weeks ago," he said.